The LaPorte High School welding classes have been assigned with the task of designing, formulating, and constructing two sculptures that represent LaPorte and 150 years of graduating classes. Mrs. Lebo, 2D Art teacher, and Mr. Presley, College and Career coordinator, collaborated, ultimately deciding to formulate an idea for how Slicers could celebrate 150 years of LPHS. The 2D Art class submitted drawings for potential sculpture ideas, giving inspiration to the welding class. The Ag Mechanics Department came of with a plan on how to turn the drawings into a sculpture for the town of LaPorte. “I am excited for this project because we get to do a project for the community that will be seen for a long time. Being able to leave our make on this town is something I will cherish forever,” senior Mitchell Anglin said. The first and third hour classes of Ag Mechanics have fully developed outlines for their sculptures. 1st hour has determined to make a gate, representing the French meaning of LaPorte, “The Gateway” or “The Door.” 3rd hour has designed a bench to be used as durable, social resource while also reflecting some of LaPorte’s most treasured attributes. The classes will also be making metal mini sculptures to attach to the main sculpture with the TorchMate, a plasma and oxy-fuel cutting machine given to the school by Lincoln Electric, a manufacture of welding products. 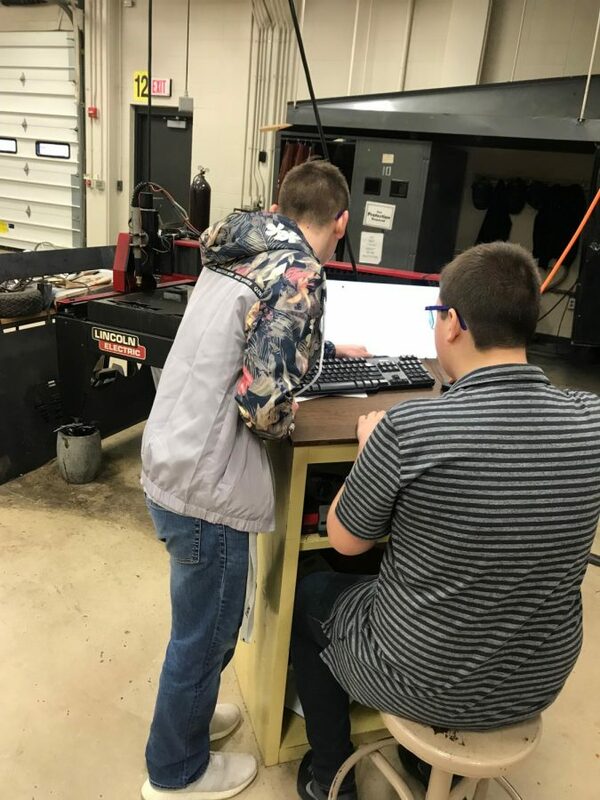 “We wanted to be a part of this project to represent 150 years of progress within our town, and we should recognize how important [welding] has been to the City of LaPorte and how important it will be in the future,” Mr. Walker, Ag Mechanics teacher, said. Mr. Walker divided the students up into separate teams in order for each team to hold a responsibility. A drafting team, research team, history & info team, and the construction and engineering team all worked together in order to produce long-lasting sculptures that will be cherished in our town forever. The location of these sculptures is still to be determined.